E-liquid or electronic liquid is the liquid that is converted to vapours in an electronic cigarette device. It is also known as e-juice or vape juice. It consists of a mixture of water, propylene glycol, vegetable glycol and comes in an array of flavours with varying nicotine levels. VG is a vegetable based liquid that has a thick consistency and a sweet flavour. PG is organic glycerol made from propylene oxide, a petroleum byproduct and helps in distributing taste and flavours throughout the e-juice. They make about 90% of the contents in e-liquid while nicotine and flavouring make up the remaining 10%. Tobacco flavoured e-juices are mostly preferred by ex-smokers to satisfy their craving for tobacco without the harmful tar, carbon monoxide, and carcinogens involved in regular smoking. This is an extremely popular flavour option where the buyer can choose the desired nicotine strength as well as VG and PG blend to customize it according to his/her liking. Many companies also offer multiple flavoured e-juices where the buyer can experiment with different flavours and create a unique, exclusive flavour of their choice. By combining a few of your most enjoyable e-liquid flavours together, you may end up with your new all-time favourite. There are well over 7,000 different e-liquid flavours available in the market today. Many of these flavours are downright amazing while some are a little bit of an acquired taste. However, choosing the right e-liquid isn’t just about the flavours. It is also about the amount of vapour, the nicotine content and ultimately, your personal preference. Another form of E-juice that is THC E Juice creation starts with wax or shatter. VG and PG levels also influence the flavour and experience of your e-liquid, so make sure you make the right choice for you. VG is milder and can give a bigger cloud whereas PG is more acerbic with more intense flavour. Generally, a 50 / 50 ratio is the preferred range to get an excellent blend of flavour, throat hit, and vapour. Electronic cigarettes prefer a safe alternative to traditional smoking because you can adjust the level of nicotine content to suit your requirements. If you were a heavy smoker, an e-liquid with about 15- 24 mg nicotine level would be preferable at first with a slow decrease in the nicotine level over time. There are also e-juices that are absolutely nicotine free. The best cannabis E-liquids come from marijuana plants or high-CBD mixtures. Not all e-liquids are created in the same conditions and with the same ingredients. A low-quality e-juice can degrade your vaping experience. Make sure to buy them only from reputable vendors and best e-juice brands where they’re created with laboratory grade ingredients. This ensures that you enjoy the maximum flavour as well as protects you against harmful toxins from low-grade ingredients that can pose serious health risks. With e-liquids, you get what you pay for. It is generally recommended that you don’t skimp too much while purchasing an e-liquid. Many companies offer trial sizes so opt for those instead of buying a bigger size only to find out later that you don’t like the flavour. Look for reputable brands that offer e-juices at reasonable prices or keep your eyes open for season sales or festive offers where you can get a good bargain. All setups are not the same. 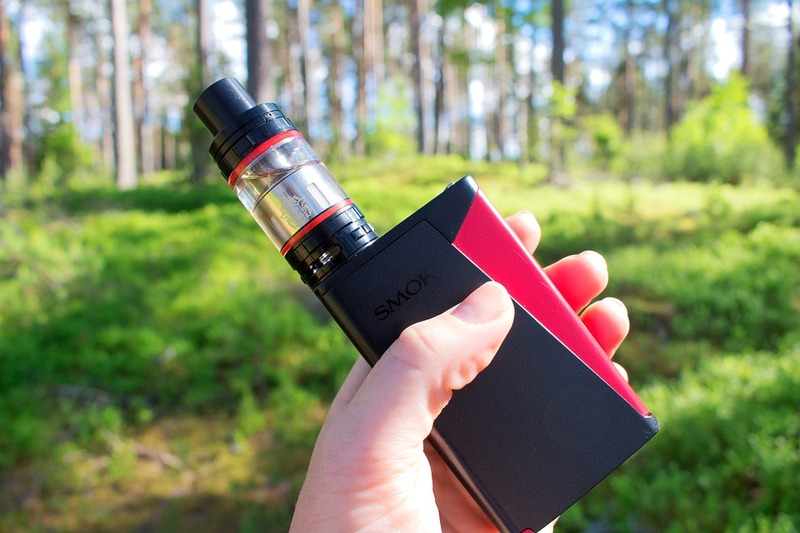 Determine whether your e-cig has a regular tank or a sub-ohm one. Regular tanks tend to provide a more authentic smoking experience, and can more effectively provide nicotine. Sub-ohm tanks, on the other hand, are designed to vaporize a larger amount of e-liquid in a shorter amount of time but in return provide thicker and flavourful clouds. This means you need more amount of e-liquid (and money!) with a sub ohm tank than with a regular one. Finding an e-liquid will seem like a gargantuan task as compared to buying an e-cig. This is because there are so many different options to choose from. Start by asking yourself what flavours you enjoy best. With a little trial and error, you will learn how to find the best satisfy your taste. You can also read reviews and talk to experts for recommendations. Overall, be patient with yourself and your choices as it takes a great taste, a keen eye for quality and a drive to have only the best. Harold is a cannabis and health industry consultant who frequently writes about the latest trends in the industry. She has been writing for a long time now. Through her writing, she hopes to influence as many people as possible to help maintain better health and lifestyle.